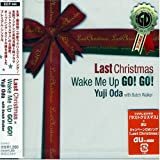 Last Christmas/Wake Me Up GO!GO! Copyright © 2019 | japan-dorama.com. All Rights Reserved.